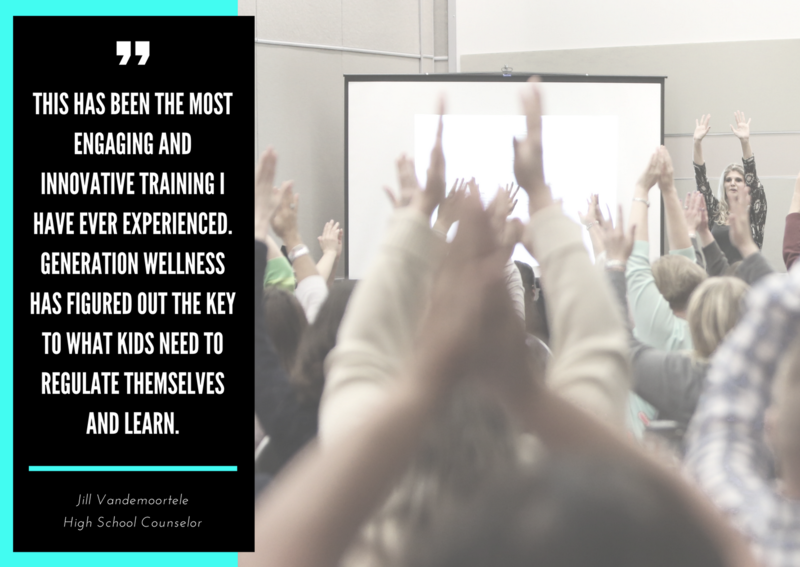 Host the Generation Wellness Training at Your School. We know you're busy, so we've created a Proposal Kit for your principal, superintendent or school board. Download a sample proposal for the training, research that supports the training and more! Great training for Professional Development days, as the content, strategies and activities apply to all grade levels. Six clock hours are offered for the one day training and 12 clock hours are offered for the two day training. Receive a huge discount when hosting a training or purchasing a private training for your school or district.